#BB11: Divya Agarwal BREAKS UP with Priyank Sharma in Bigg Boss Season 11! And looks like Priyank Sharma is already regretting his mistakes. 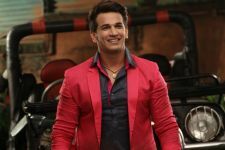 The upcoming episodes of Bigg Boss Season 11 will soon see one of the most awaited moments of every season- the part where family members/ near and dear ones of the inmates visit the house. And tonight's episode will see family members of the inmates paying a visit to their dear ones. While the family will be visiting, the housemates will be asked to freeze, but will be set at ease by the Bigg Boss for a few minutes. While, we know that every other housemates' family members come to the house, Priyank's ex girlfriend Divya Agarwal came, just because Priyank's parents are not in town. And Divya did the unthinkable. 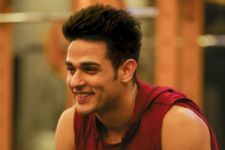 Divya informed Priyank the decision to break up with him. Not only that, Divya also gave Priyank a reality check about how Vikas is the only friend that Priyank has in the house. Divya also took to her Instagram profile and told her followers that she has indeed broken up with Priyank on the reality show after having started dating him on one (Splitsvilla). However, the video that is doing the rounds, seems to suggest otherwise. 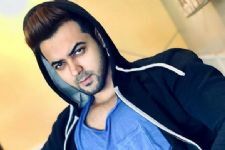 Towards the end of the episode, we also see how Priyank runs to the walls of the house in the lawn and calls out to Divya. It's heartbreaking to see the moment and we only wish that both Divya and Priyank sort out their differences. Now, that is something to look forward to, isn't it? The crappiest show ever ...Its scripted from the beginning ...its obvious that priyank will win and i just hate divya to the core ...Nibi was way better !!!!! seems priyank is dating multiple people if different reality shows. that wont get him anywhere in the long run may only help in the short run. Ugh! The fake love story of these two (Divya/Priyank) ruined Splitsvilla for me and now I see they are spreading the fakeness to another reality show as well.